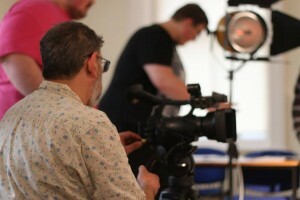 Richard Davies directs the media program at Merthyr Tydfill College in the former South Wales coalfields. 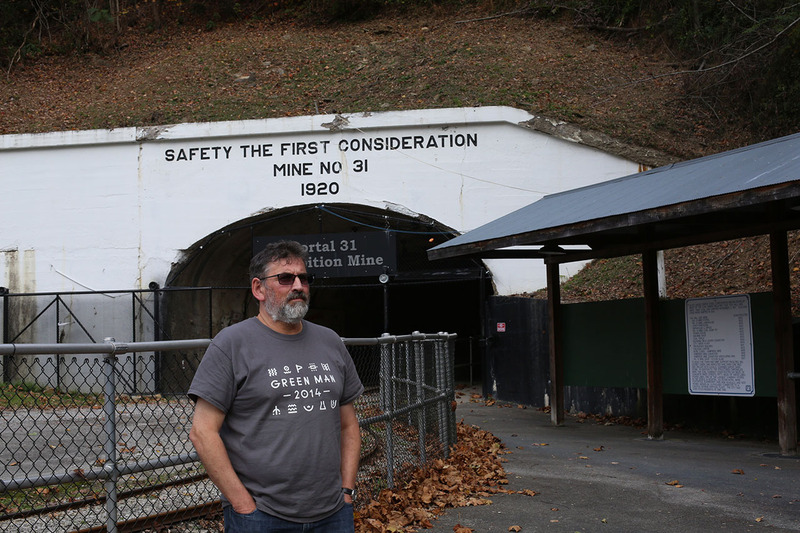 In October 2014, Davies presented to youth in the eastern Kentucky coalfields and shared lessons from his work in former mining communities. He writes about his experience exchanging ideas among mining communities. 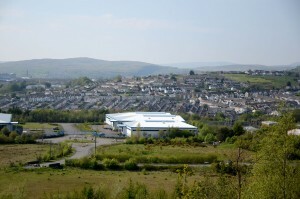 I was born, live and work in Merthyr Tydfil. 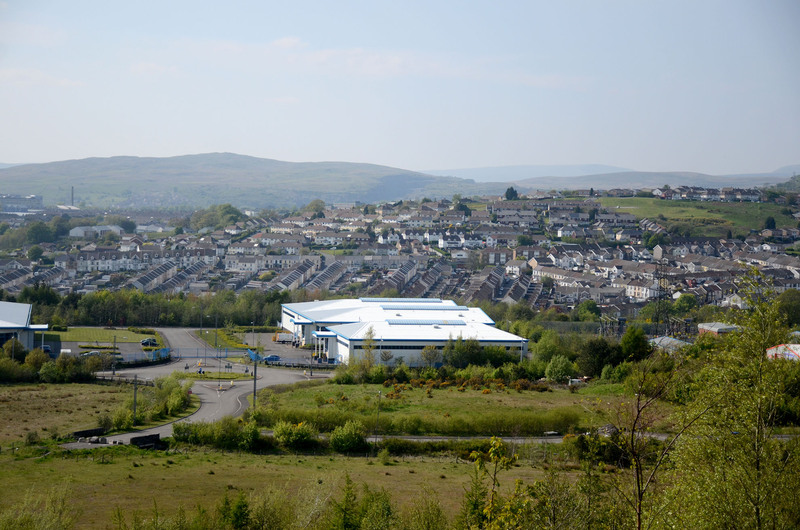 Merthyr is a former iron and steel town on the northern edge of the south Wales coalfield. My family is from lower down the valley, in the former steam coal mining villages of Pentrebach and Aberfan. I teach film and video in the local college. My main academic interest is documentary theory and production, which I combine with filmmaking. 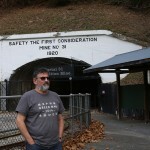 One of the themes of After Coal is a comparison of the experiences of the people of south Wales and Appalachia in relation to coal mining and the cultural and political forms of expression arising from rapid industrialization, exploitative production practices and a rapid de-industrialization. This has left towns such as Merthyr with a depressed economy, cultural impoverishment and dealing with a massive legacy of ill health. activists since way back when. I’d heard folk songs about ‘bloody Harlan’ and ‘Perry County’. 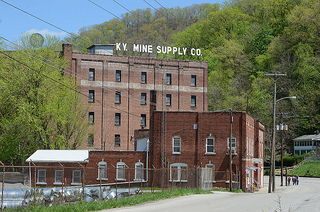 Later, when I became involved in film making I watched films like Harlan County USA, and more importantly for me, found out about the Appalshop Media Arts Center and filmmakers like Mimi Pickering who seemed to be interested in the same kind of committed filmmaking that I was interested in. Occasionally I might get to see one of the films. So… sometime last October there I was flying down the east coast of America with this cultural baggage and landing in Charlotte, North Carolina to meet Tom. The first thing that struck me was how big the place was, the second thing that struck me was that I had to come up with something sensible to talk about. One of the central aspects of my work in Merthyr has been the attempt to develop practical ways of using art and cultural activity to encourage and support individual and community regeneration. I want to work with people to encourage and develop the creation of new narratives that offer a wider range of representations than those currently available. Ideally, these new stories both sustain those who make them and make representations outward to those in power. Two ideas seem to me to be particularly important in helping to create these new stories. The first is to try and get some continuity or cross over between generations, so that the experiences of the past become relevant to conditions now. The second is to argue for the importance of making links between individuals and then between groups of people to explore common values and interests. I found it impossible to avoid comparing eastern Kentucky and south Wales in many respects, most of them trivial I suppose, like breakfast and barbecue, and the different beer, of course. The sheer size of the place- you can drive from north to south of the south Wales Coalfield in ½ hour and east to west in two. At the same time how small the towns of Harlan and Whitesburg, Kentucky were, more like Aberfan than Merthyr. 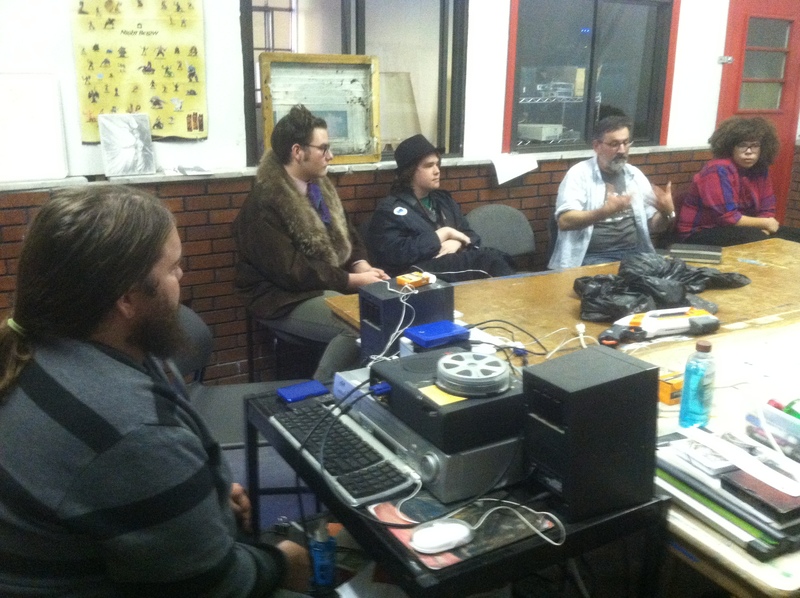 Youth from Appalshop’s Appalachian Media Institute talk with Richard about making media in the coalfields.